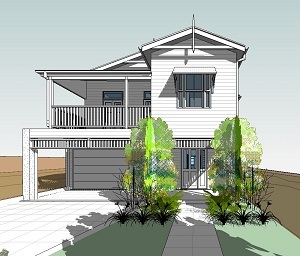 Award winning building design practice located on the north side of Brisbane in the high growth suburb of Nundah. Formerly in Clayfield for 10 years with over 25 years local experience. Let our team of design professionals take care of your every need from designing your new home or renovation through to coordination of consultants, engineers, approvals and a whole lot more. We have consistently won awards for our one-off homes and major renovations, as well as the humble back deck. East Coast Building Design strives to provide best practice building design services and the highest quality drawings and documentation to make your project a reality. Through “Sustainable Building Design Principals”. The results will be “Livable, Affordable and Beautiful”.